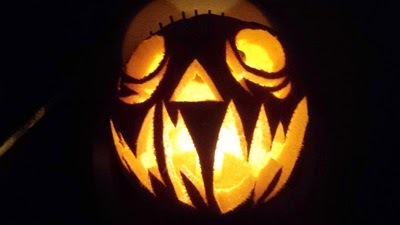 Halloween is the night of October 31, the eve of All Saints' Day, commonly celebrated by children who dress in costume and solicit candy or other treats door-to-door. 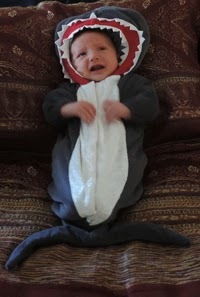 Reef Indy will be observing his first Halloween dressed in his Baby Shark Costume from Chasing Fireflies. Oma and Opa had to help Reef try on his costume earlier this week. 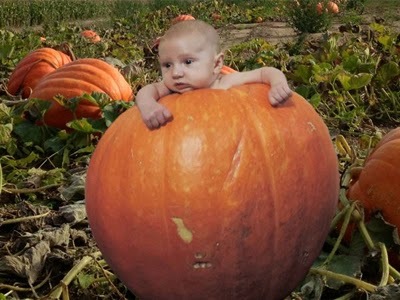 Although he is only seven and a half weeks old, the 0-6 month size outfit was a tad snug. Nevertheless, he was super cute and ready for Trick-or-treating. This costume is very well made and of great quality.